The 5th annual Go Green Electric Car Show is presented in cooperation with the National Drive Electric Week (NDEW) being celebrated September 8 through 16. ​The Electric Car Show will take place September 15 from Noon till 4 PM. The show is open to all owners, dealers, and manufacturers of plug-in BEV (Battery Electric Vehicles), and PHEV (Plug-in Hybrid Electric Vehicles) including cars, trucks, buses, motorcycles, bikes, tractors, boats, go-carts, and any vehicle that plugs into the electrical grid or solar power supply. 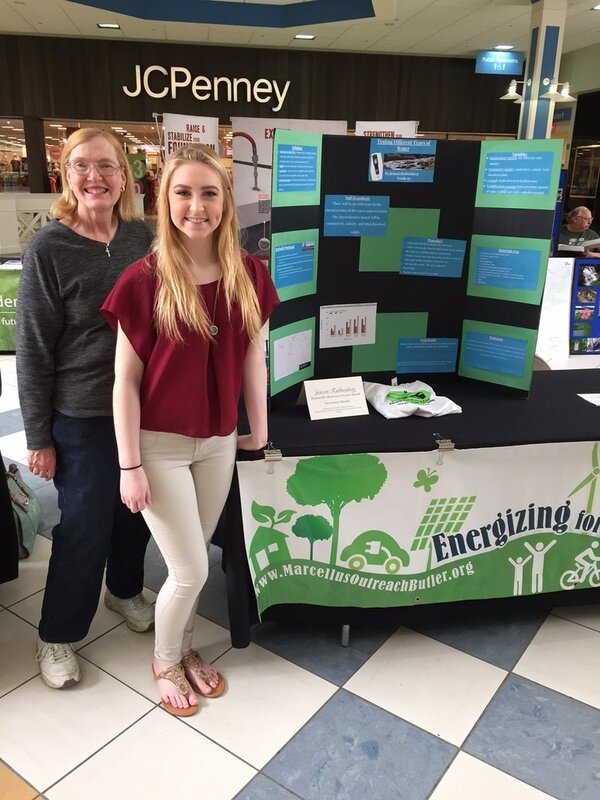 On April 22nd, 2017, Earth Day, Marcellus Outreach Butler had its 5th Annual Go Green Festival at Clearview Mall. The Go Green Festival featured the latest green energy products and services, home improvement businesses and grassroots groups in an effort to understand what we can do to live with less of an impact on the earth. 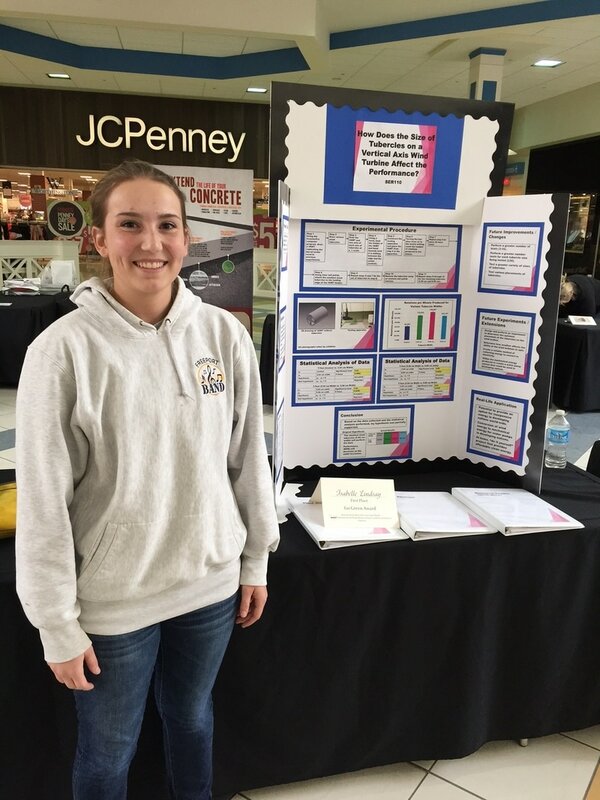 One of the most popular attractions at the festival were the science projects that won the Go Green Award, sponsored by Marcellus Outreach Butler, at the Pennsylvania Junior Academy of Science at Slippery Rock University. The award recognized scientific research in ecology and the environment. The following winners displayed their research. Congratulations winners! 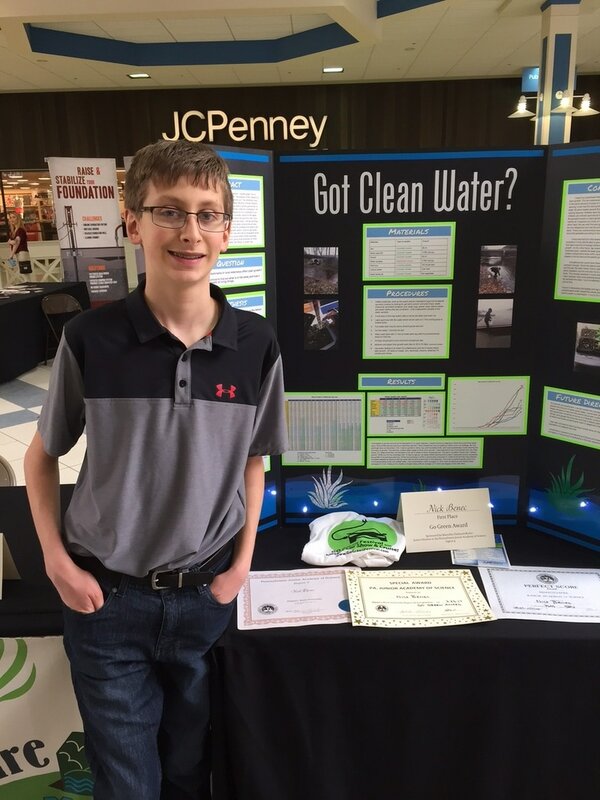 Nick Benec, the First Place Winner of the Junior High division, a seventh grader at Butler Catholic School, (teacher sponsor: Jayne Chobot) won the award for "Got Clean Water?" His project focused on collecting water samples from various waterways, measuring pH, nitrates, alkalinity, and several other water chemistry parameters. He then tested the water by germinating lettuce seeds and comparing the effects. Nick spent most of the day explaining his research to interested attendees. A tenth-grade student, Jensen Ruthenberg, from Wilmington Area MS/HS, pictured here with teacher sponsor Sandra Earl, won Honorable Mention in the Senior Division for "Testing different elements in different types of water". She specifically looked at fracking and its effects on water quality. Jensen spoke with interested people about her findings. Both of these projects focused on water quality and demonstrated the students' concern about the quality of water and need to bring awareness to water quality issues found in industrial processes such as fracking and also the quality of water found in our waterways. The First Place Go Green Award winner of the Senior High Division, Isabelle Lindsay, focused her project on wind turbines, a popular source of renewable energy. Isabelle is a senior at Freeport Senior High School (Donald Orlowski, teacher sponsor). The title of her project was "Placement size and number of tubercles affect VAWT performance" VAWT is a type of wind turbine. She will attend college in the fall and plans to major in engineering.